The chair of the Shelburne selectboard and two other members dropped their effort to oust fellow selectman Josh Dein at a packed meeting Friday night. With lawyers hovering, both sides hashed out a compromise agreement in executive session. The pact allows Dein to stay on the five-member board as long as he agrees not to vote on matters related to a controversial Vermont Railway salt shed. Dein had questioned the town's mounting legal bills in its bid to fight the rail facility, which opened last year despite the town's opposition. His three critics on the board, meanwhile, alleged that Dein publicly shared confidential legal strategies surrounding the issue. Dein's opponents on the board — who include chair Gary von Stange, John Kerr and Colleen Parker — also said he behaved in a threatening and disruptive manner by raising his voice and pounding his fist at meetings. Dein denied those allegations. Around 100 people showed up to the special meeting Friday night. Many of them were supporters of Dein who viewed the board's efforts to boot one of their own as unjustified. "It's ridiculous. I think it's all politics," said Toni Supple, a former selectboard member. "I just think this is totally unwarranted ... It's a kangaroo court." "I do not think it's appropriate," said David Mitchell, who has lived in Shelburne since 1986. He added: "I think there are egos involved here." Dein would have been the first selectman ever ousted by fellow members in Vermont, according to lawyers involved in this case. In most Vermont towns, it's difficult, if not impossible, for board members to vote off someone who was duly elected by the public. But Shelburne has an unusual town charter. It states that the selectboard may remove elected officers "for cause" after a hearing. The obscure clause is overly broad and shouldn't be part of the charter at all, suggested Supple, one of several former selectboard members who wrote a letter publicly criticizing the bid to oust Dein. The charter provision came up January 24, when the selectboard entered into executive session. With Dein present, the chair announced that there was an effort to remove him. Three of the five members indicated they supported the effort, and wanted to hold a public vote on the matter at the special meeting that took place Friday night. A fourth member, Jerry Storey, was absent due to an illness. 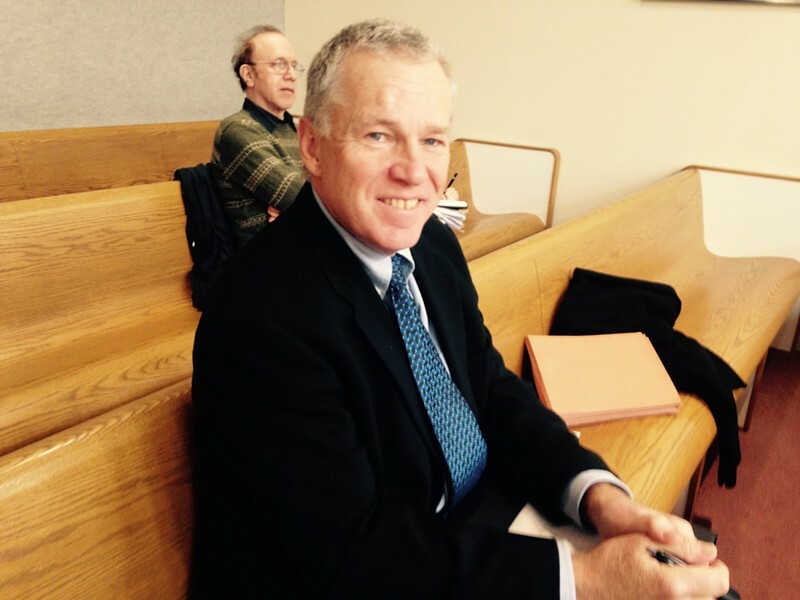 Dein's lawyer, Pietro Lynn, filed an injunction to stop the special meeting from happening. 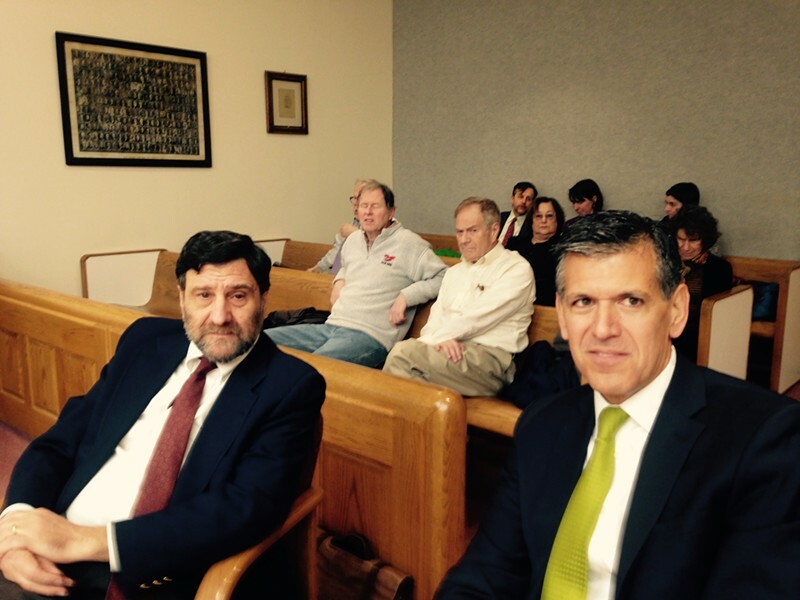 Judge Robert Mello heard the matter Friday morning in Vermont Superior Court, just hours before the special meeting. 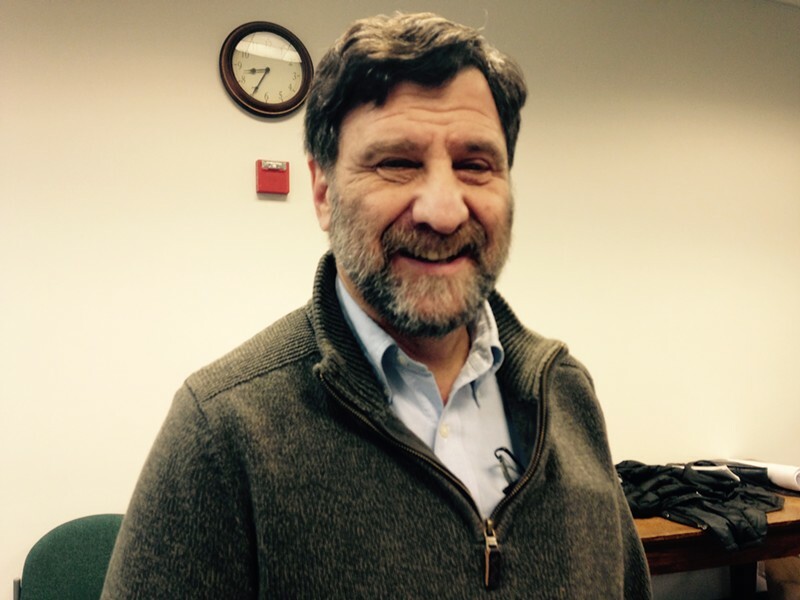 In court, Dein testified that the move to oust him came as a complete surprise. Lynn, for his part, argued that the selectboard did not properly follow public meeting law, that their accusations were baseless, and that it would be wrong for selectboard members to serve as both witnesses and judges in the proceedings against Dein. Brian Monaghan, a lawyer for the town, said the board followed the appropriate steps toward removing Dein, and that the effort was entirely justified. Among those who testified was Claudine Safar, a lawyer who represents Shelburne in the railyard fight. She said she could cite no proof that Dein publicly discussed confidential information, although she said she suspected that he had. Judge Robert Mello allowed the special meeting to go forward, but with a caveat that essentially made it impossible for Dein's critics on the board to vote him off. Any selectboard member who testified about Dein's alleged misconduct during the Friday night session would not be able to be vote on Dein's ouster, Mello announced in a written ruling. The judge specifically forbade von Stange from voting on Dein's removal, writing that his testimony in civil court Friday morning indicated that he "would not be an impartial decision maker" in the matter. Handicapped by the ruling, the board went into private session Friday night and emerged with the compromise agreement. "Everyone on the board is committed to working together in a way that is in the best interest of the town," von Stange told the crowd. The compromise is a way for the board to begin "to repair and go forward in a positive way," von Stange added. The board voted unanimously to support the agreement. Under the pact, Dein did not admit any wrongdoing but agreed to recuse himself from voting on matters related to the Vermont Railway facility. Dein supporter Doris Sage said she was relieved to see compromise. "I'm very pleased with the outcome ... I didn't support his removal," said Sage, who is running against selectman John Kerr in the March 7 election. "I really feel that Josh speaks for the town and the selectboard's been broken for a while," Sage said. Sean Moran was among those Friday night who objected when the selectboard announced that it would go into executive session to discuss the issue privately. "Most of the room thought it was loathsome, the way we were treated," Moran said. Under the leadership of von Stange, townspeople feel they have little chance to express opposing views at meetings, Moran said. "People who raise any kind of question are often put down." After the compromise announcement, Dein said he appreciated the public support and added, "I will continue to ask questions."